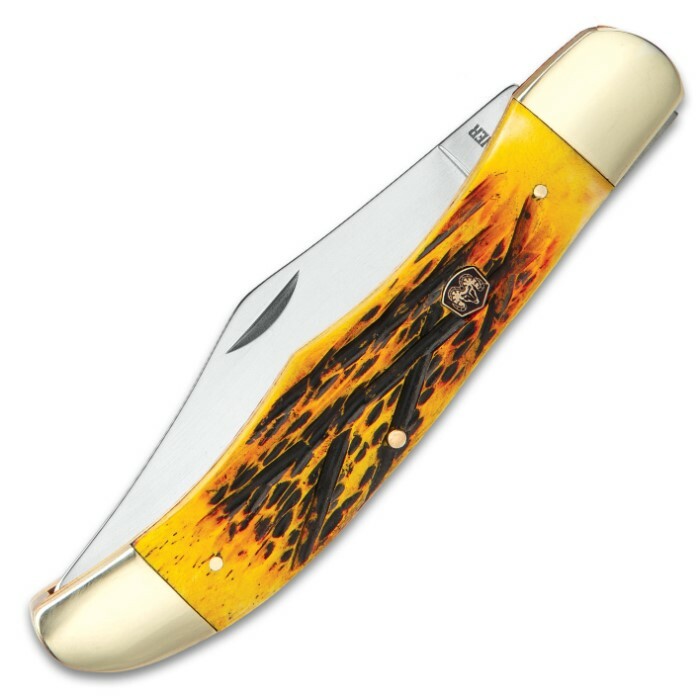 Ridge Runner Yellow Bone Large Hunter Pocket Knife - 3Cr13 Stainless Steel Blade, Bone Handle, Brass Liner, Nickel Silver Bolsters | BUDK.com - Knives & Swords At The Lowest Prices! 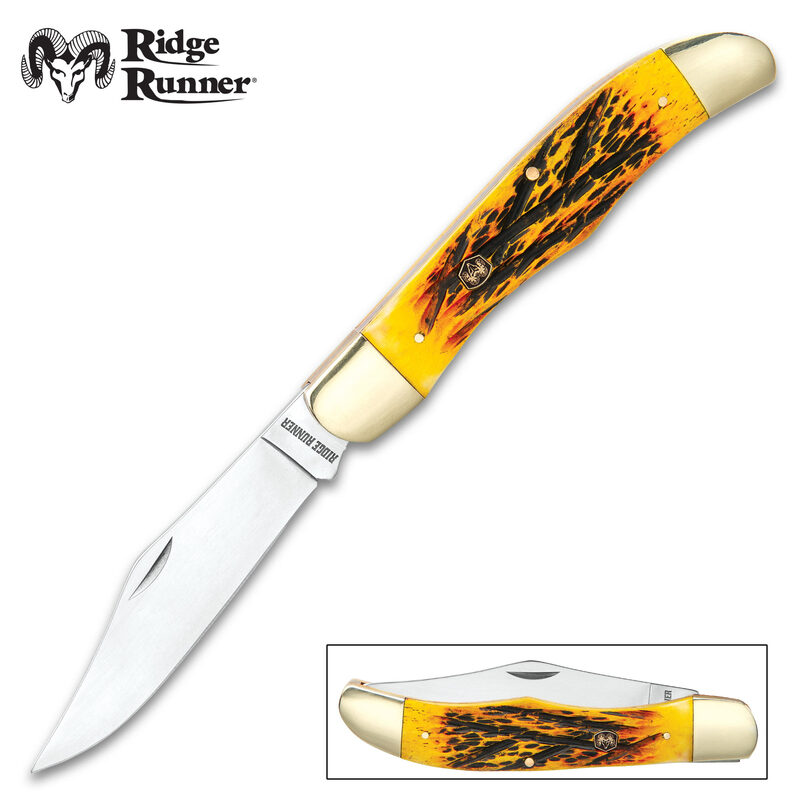 Our Ridge Runner Yellow Bone Large Pocket Knife represents family tradition, the custom of passing an heirloom pocket knife along to the next generation or presenting a new pocket knife to a son or grandson. The pocket knife has a 4” rust-resistant, 3Cr13 stainless steel blade, sharpened to a razor’s edge, with a mirror-polished finish. 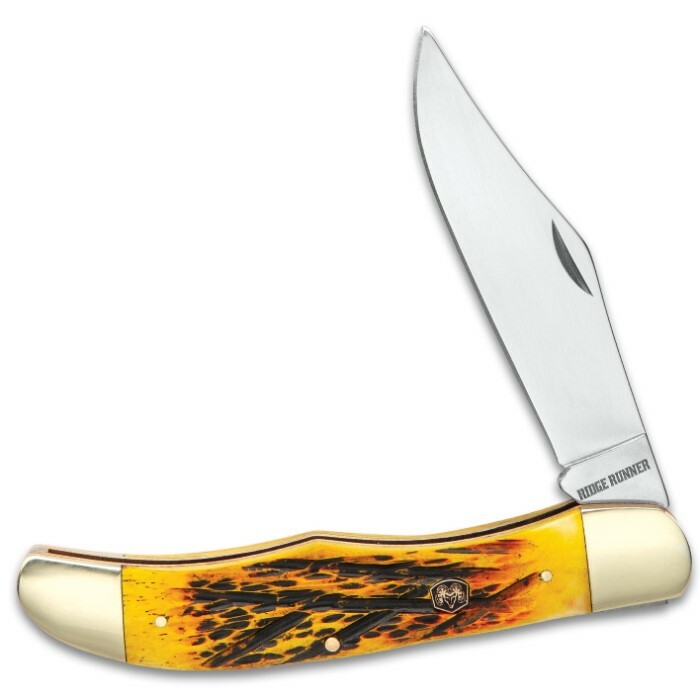 The handle has genuine yellow bone handle scales with a burnt bone design and the Ridge Runner Shield assures you of the high-quality that you’re getting. The pocket knife has a brass liner and pins and features nickel silver bolsters, which have been polished to a mirror shine. The large pocket knife is 5 1/4”, when it’s closed, and a nail nick on the blade makes it easy to access. Make sure you snap up one of these attractive, heirloom-quality Yellow Bone Large Pocket Knives before they’re all gone!